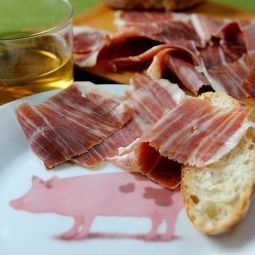 The pure Iberian breed pigs are raised with cereales and soy. 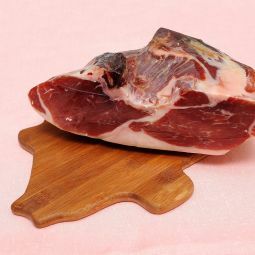 The ham is elaborated, from the breeding until the air drying, with a lot of care. 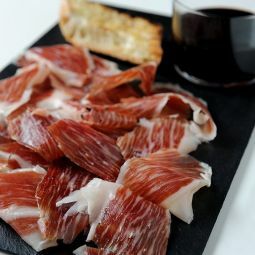 When the ham is cut, it presents the typical dark-redish colour and the fine wihte veins, characteristic in iberian ham. 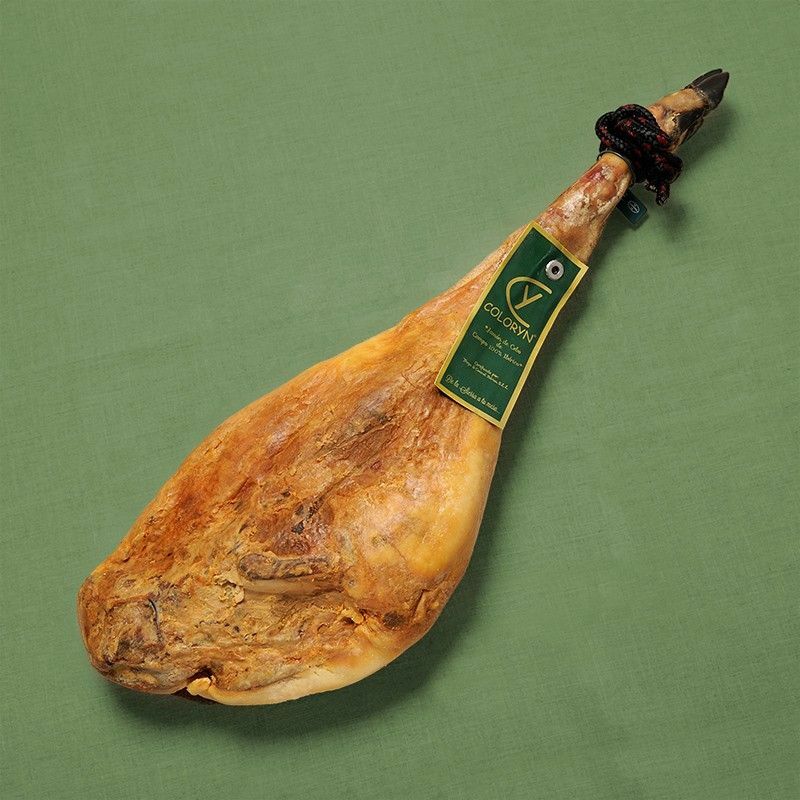 The certified Iberian Cebo de Campo Ham is shipped as whole leg. 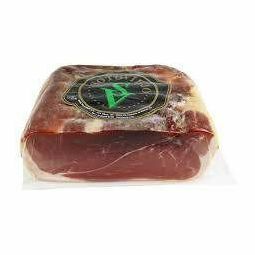 This way the ham preserves all its taste and you can enjoy it little by little. 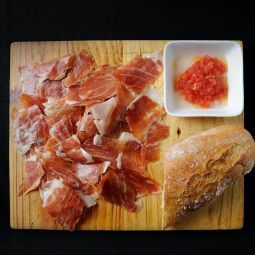 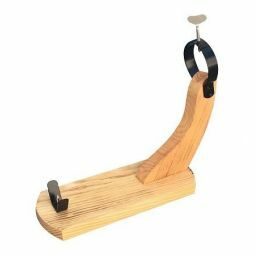 Besides cut by knife is the best form to cut an Iberian ham.